As you may already know, today was my ‘rest day’ from training. No planned training, as I was up early travelling to Edinburgh with work, and late home. No planned TRAINING as such, but plenty if ACTIVITY. ThE underground isn’t far away, and I could have got the train, but instead I WALKED. I was up earlier than normal and out the door to walk to the train station. A fast paced 25 minute walk to the train station, then just under 15 mins from the station to the BBC in Edinburgh. 2.2 miles and a chance to think and get ready for work. Then the same on the way home, fast 15 mins to the train station, then a nice 25 minute walk home, downloading the day and feeling proud to have been able to do the things I’ve done. It’s not running, it’s not hard enough, you should walk when you’re running. 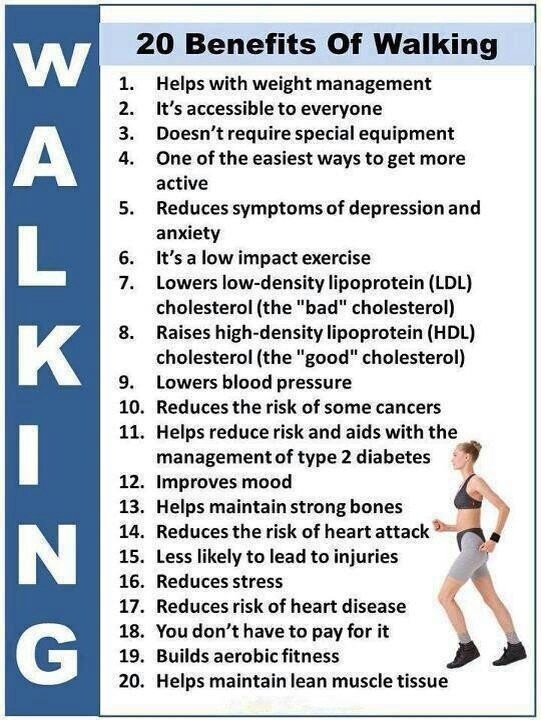 Well I say it’s great: Walking is great. 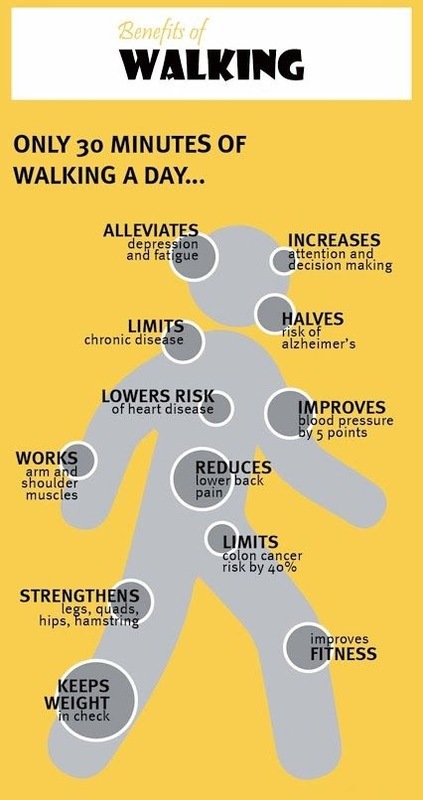 See the benefits in the images in this post for proof. So, what are you waiting for? 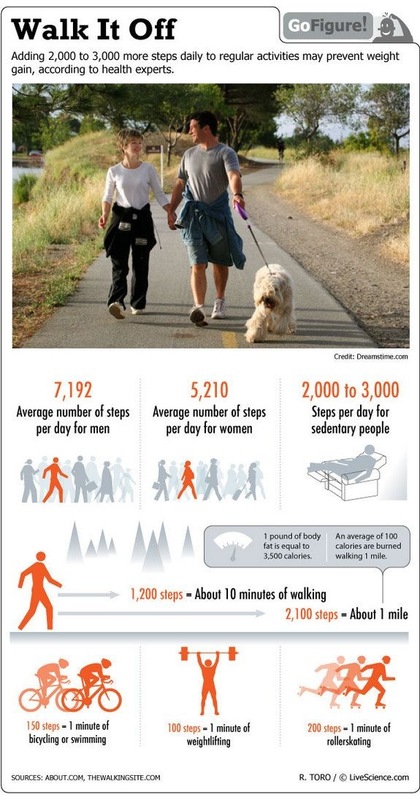 Walk more, take the stairs more, be more active. You might just like it.